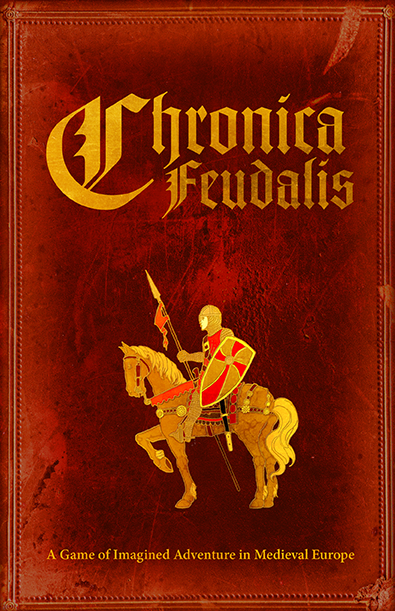 Last night I received the the ready for print Chronica Feudalis PDF from its author, Jeremy Keller. Immediately I was struck by the cover. The first thing that caught my eye was the worn leather look. My eyes then snapped to the mounted knight set off by the red tint of the background. I'd buy it. The interior art and layout are on par with the cover. The chapter head artwork is by Miguel Santos and the spot illustrations are by the author. There's a peek at the artwork over at the Chronica Feudalis web site.